24368 El Molina Avenue, Valencia, CA, 91355 new listing as of 02/20/2014 in the Valencia Copperhill neighborhood, Palazzo – Alta Vista home tract of Valencia CA in the city of Santa Clarita CA. 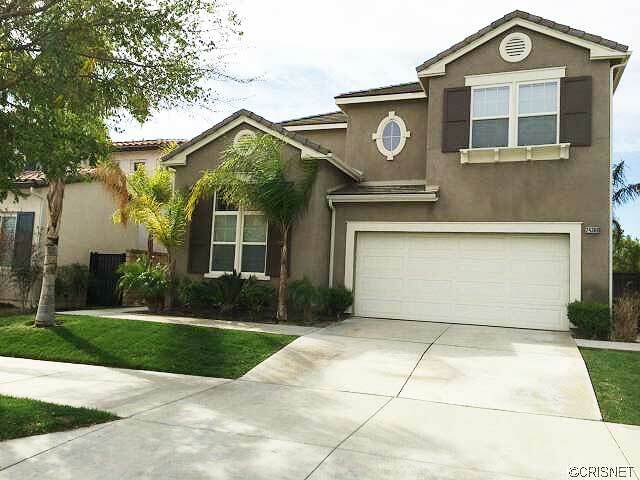 This great 4 bedroom 2 bathroom town home has 2786 square fee close to Valencia High School. Gorgeous and immaculate 4 bedroom home in desirable Alta Vista community!! This highly upgraded home features wood flooring, newer carpet, custom neutral paint throughout house, kitchen with granite counters and upgraded white cabinetry! Stainless steel appliances! Formal living room with custom doors, which could be converted to 5th bedroom! Cozy and spacious family room with fireplace and wood flooring. Four bedrooms upstairs with added loft/computer niche! Largest floor plan in Palazzo homes! Secondary bedrooms feature custom wall murals! 3 car garage with epoxy flooring and lots of cabinets! Great low maintenance backyard with grassy area and stamped concrete. The Alta Vista community features an Olympic sized community pool, park, super low HOA dues and NO Mello Roos! Hurry, this home will not last! Close to excellent Valencia schools, shopping and freeway! This home shows true pride of ownership and is move-in ready! Bring your fussiest buyers!